A new addition that everyone has been waiting for. Excellence in design, clear and smooth in texture, vividly shine in color. 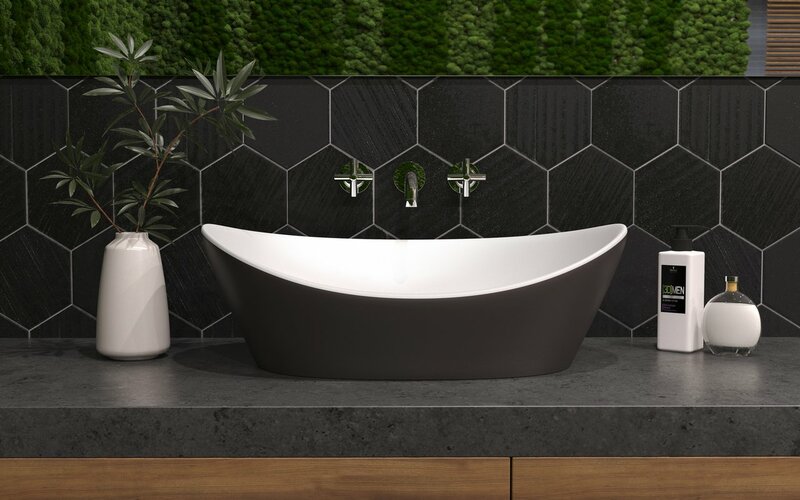 Designed to show more of your own personal style, Luna Matte Lavatory in Grey Brown & White Stone by Aquatica is a perfect matching washbasin for your Purescape™ 748M Grey Brown Freestanding Stone Bathtub. Crafted with our state-of-the-art AquateX™ material, which is easy to maintain clean and bright, this washbasin will bring a final unique touch and mindful peace to your daily routine. Impressive Italian charm and a must have that available in different RAL classic colors to express your individuality.